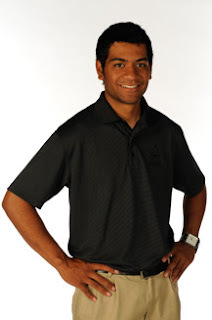 It was a sad night for the Finau family on Big Break Disney, but a scenario that had to be played out eventually – either this week or next, one of the Finau brothers had to go home. Tonight Gipper was the one who “missed the fairway”. And although I was sad to watch Gipper go home, I was left thinking of the words Bobby Jones said about Jack Nicklaus, when I watched Gipper hit the ball a mile – “He plays a game of which I am not familiar“. Wow! Does he have a long game or what! Irons from 260+ yards to the green???? Is that real? Amazing player – just a bad night. Golf is a game of inches, as they say, and his drives are so long that an inch of error off the tee results in many feet off his landing area – sometimes those feet get wet. Gipper, you were so much fun to watch and I look forward to watching you grip it and rip it off the tee on tour someday. Hang in there – you have what it takes! Should be a great final episode with Kevin “Cinderella” Erdman, Mike “Hotstuff” Perez (or was that Hothead ;)) and Tony “Boom it!” Finau in the mix. Some would say Tony is the hands-down favorite, but in golf, you just never know, do you? Look at this year’s PGA major winners. Good interviews, as always, Gayle. I enjoyed Tony’s description of their junior golf days, particularly the line about his dad, “We didn’t know he didn’t know anything…” LOL. For a few weeks I’ve handicapped Mike as the likely winner but Tony sounded very upbeat this week. I may have to re evaluate. I guess the tipoff will be who arranges a big watch party with her family and friends, like Kim Welch did. Mike did do that car race stunt with GC, so that’s a consideration.